The "Pharaohs" defeated Montenegro 3-2 (25-20, 21-25, 25-23, 23-25, 15-9) in the Group 3 Finals in Bratislava, Slovakia, and - if FIVB requirements are met - the team will play in Preliminary Round Group 2 next year. "We are very happy, this victory means a lot to Egypt. We came back to the World League after a lot of problems and we got a result. We will play in the second group next year and we will meet stronger teams,” said successful coach Angelo Frigoni. The experienced Italian, who contributed to his home country's FIVB Volleyball World Championship titles in 1990 and 1994 as a member of the coaching staff, took on the responsibility of coaching Egypt this year and has immediately achieved a spectacular result. 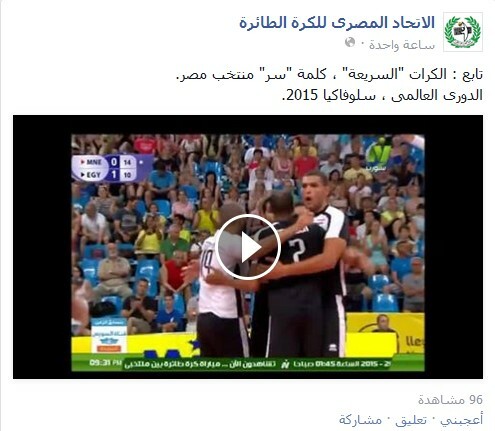 Egypt's success is also a success for volleyball in Africa. Only two African teams have ever competed in the annual showdown between the best teams in the world. Egypt celebrated their debut in 2006 with 13th place. Last year was the first time Tunisia took part. Egypt has a long volleyball history and was the first country to join the African Volleyball Federation. Before Africa had a solid volleyball structure, Egypt had also competed in the 1955 and 1958 European Championships. On their fifth appearance in the World League, and after a break of five years away from the competition, the team have played their way into the international spotlight for the first time in 2015. In eight matches, the Egyptians collected seven wins to finish ahead of former European champions Spain in the preliminary rounds. In the Final Round in Bratislava, Egypt dashed the hopes of hosts Slovakia with a surprising 3-1 victory, before defeating favourites Montenegro in the final. 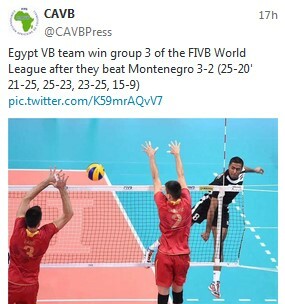 The African Volleyball Federation (CAVB) was delighted - as were the many volleyball fans back home in Egypt, who celebrated the victory enthusiastically. An Egyptian government representative celebrated the success as the “result of good planning by the Union as well as the support of the Ministry of Youth and Sports in cooperation with the Egyptian Olympic Committee”. But above all, it was the success of the players, who predominantly play for the clubs in the capital city of Cairo; Al-Ahly and Zamalek. 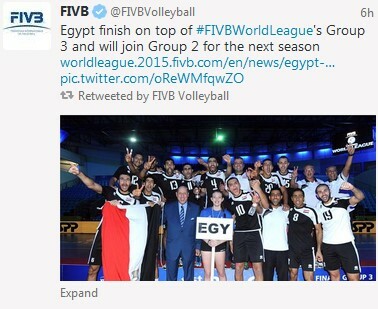 Egypt's setter Abdallah Abdalsalam Abdallah Bekhit said: "I would like to thank all our players. We are very happy, especially as we had missed the World League these past five years. We have some young players mixed in with experienced ones.” The good development of young players in the country is one reason for the Egyptian success, but so is the special team spirit. When experienced setter Bekhit picked up an injury in the final, Abdalla Hossam stepped in. “We had some problems, our setter was injured, but I had a lot of confidence in my second setter. I know that he can play well,” said coach Frigoni. Other outstanding performers included Ahmed Abdelhay and Basdawy Mohamed Moneim, who with a total of 109 points finished second in the scorer list in Intercontinental Group 2. He was also a key player in the final, in which Montenegro led 8-7 in the decisive fifth set. His float service helped Egypt score seven points in a row to earn top place on the podium. There isn't much time for Egypt to celebrate, however. Frigoni: "Now we will concentrate on the African Championships. Our season has only just started." In recent years, Egypt have been crowned African Champions five times in a row and are eager to defend this title on home turf. The team ranked 19th in the world ranking also hope to qualify for the 2016 Olympic Games in Rio de Janeiro - to continue building on Africa's success in the volleyball world.